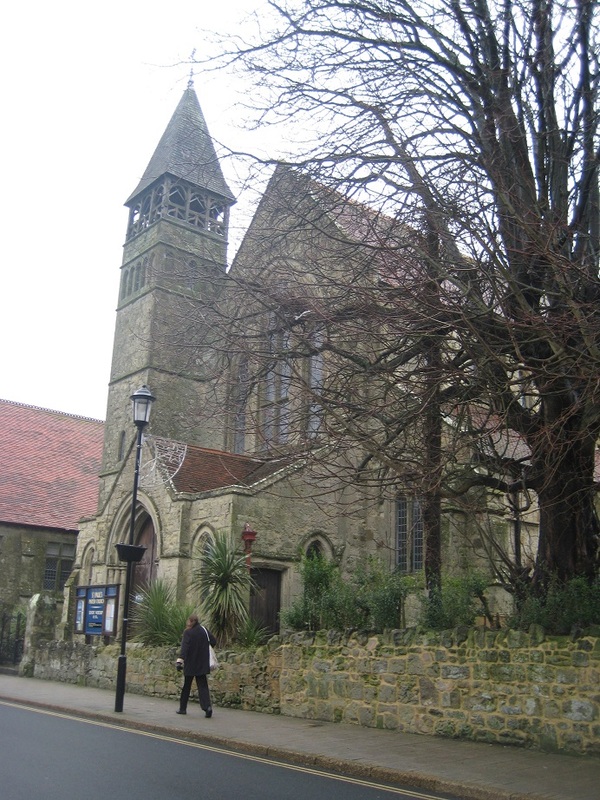 We were in Shanklin to play in a Scrabble tournament (20 games over 3 days). The tournament had finished, but our losses had continued to outnumber our wins, and neither of us won any prizes. 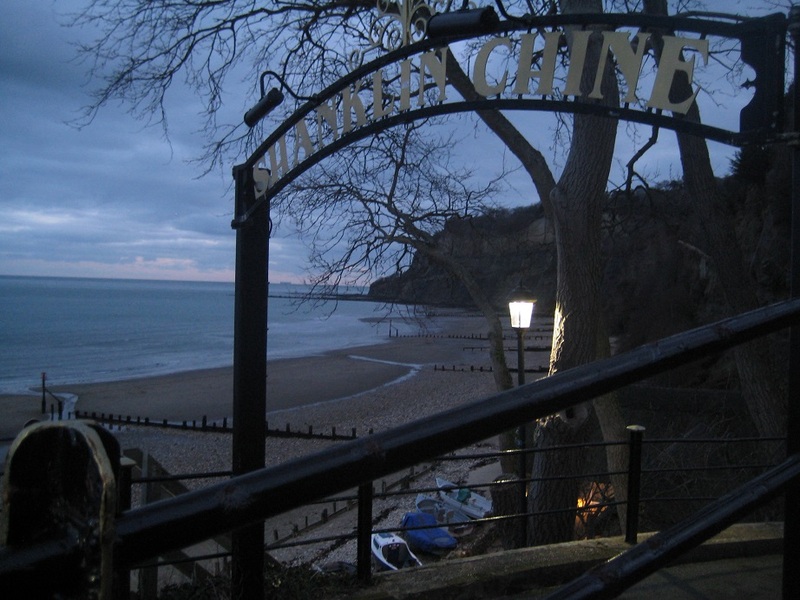 After the prizegiving, we left the hotel just after sunset, as the light began to fade, heading for – we hoped – the final location of the Smuggler’s Path multicache, based around Shanklin Chine https://www.shanklinchine.co.uk We’d had a look along the beach at lunchtime, and had decided that the tide would be OK to make an attempt on the cache. Passing the end of the esplanade, and the beach huts, we continued along the beach, hopping over the groynes and skirting large puddles of seawater. It was still dusk but it became much, much darker once we left the beach to scramble into woodland to our destination, an ammo box chained to a tree. We needed to undo a combination padlock to get into the box/cache. And we couldn’t manage it. We put in what we thought was the correct combination (we checked later, yes, it was OK) but we could barely see the numbers on the lock in the gloom, and we couldn’t wrestle the lock open. After a few minutes we gave up and came out onto the beach again. 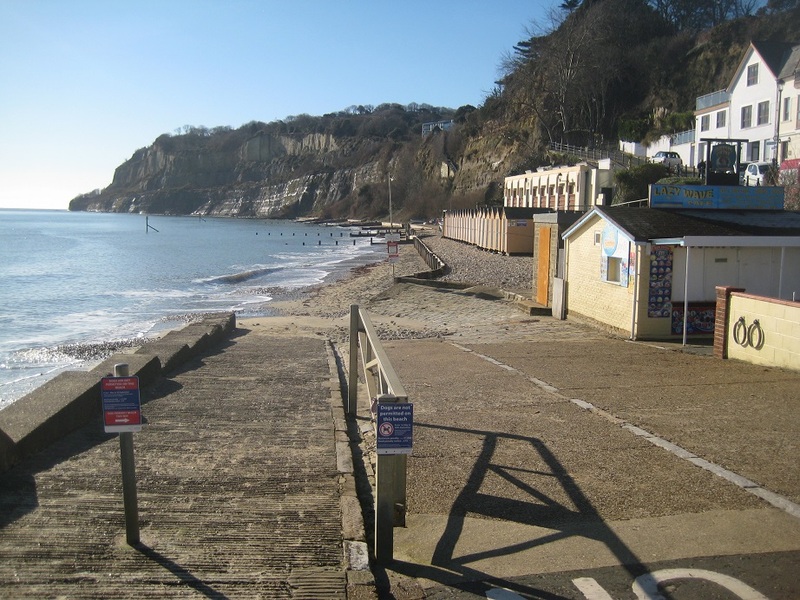 It was much, much darker now, and the light had faded by the time we returned to the entrance to Shanklin Chine and climbed up to the top of the cliffs, overlooking the beach. There’s a good path along here, and we walked along the clifftop, passing the cliff lift, which is shut in February, and shut anyway at night. There’s another cache along here, and we attempted it in almost total darkness, stopping as muggles loomed out of the night, and getting well scratched by brambles, and before Mr Hg127 finally grabbed the object we were looking for. We returned to our hotel, down the steps by the cliff lift, which are ‘interesting’ at night, as they aren’t well lit all the way down, and back onto the seafront for a chance to reflect upon our efforts. Postscript: if conditions were suitable, we intended to go back to that cache we had failed to unlock. But they weren’t. Next morning, a gale was blowing, and the tide was being pushed high up the beach. Perhaps we won’t go and get that cache this morning? The cache has been added to our ‘caches with a good idea of the solution’ list for a future attempt: perhaps when we return next year? 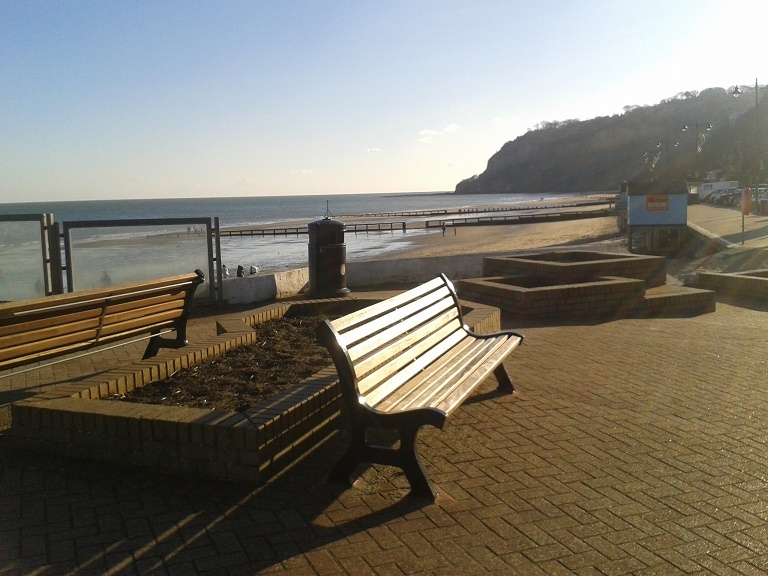 On our previous blog we mentioned that we were going to Shanklin to play in a Scrabble Tournament. (20 games over 3 days). Sadly, by Saturday lunchtime, our Scrabble losses far outweighed our wins, so we decided to break off for a few minutes and locate a simple cache just 300 feet from the hotel. 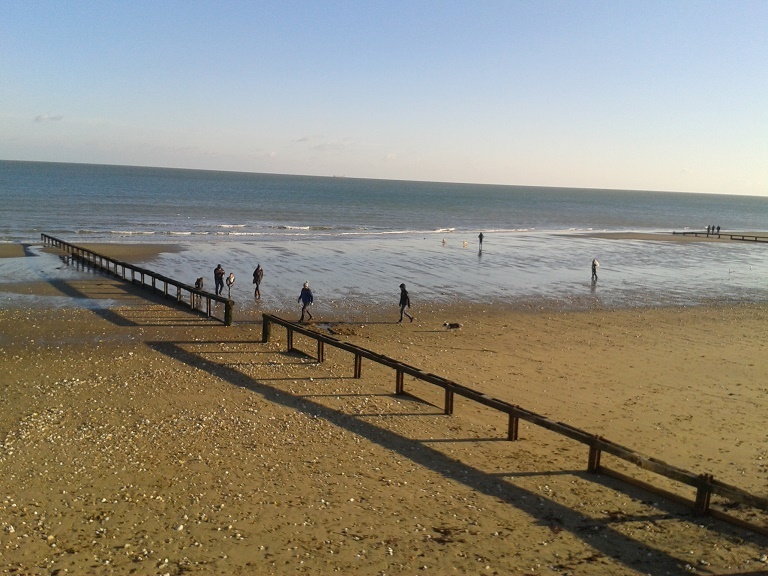 The day was fine, and the warm winter sunshine had brought people flocking to the sea-front. Our plan of a quick ‘cache and dash’ was thwarted by a family at Ground Zero. We noticed a plethora of plaques nearby. 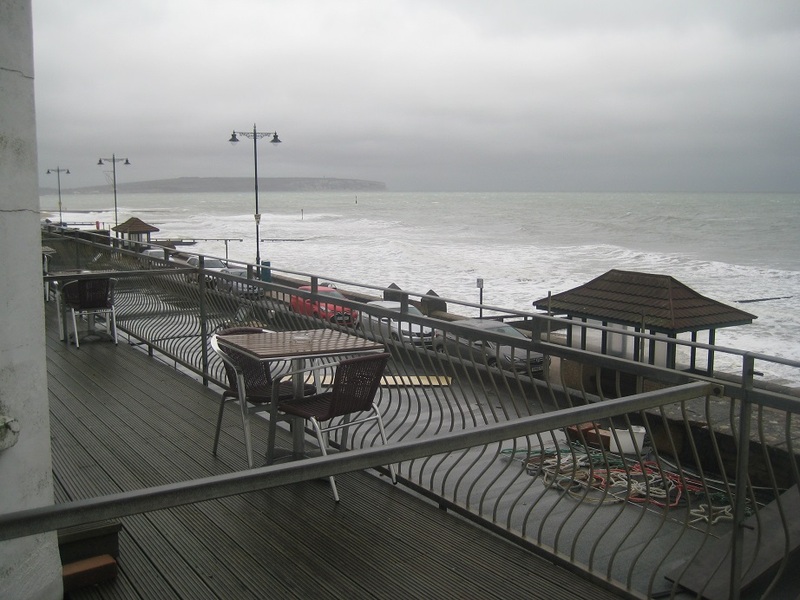 We read that Shanklin pier was destroyed in the Great Storm of October 1987. We read that from where we stood PLUTO left the UK during WWII. 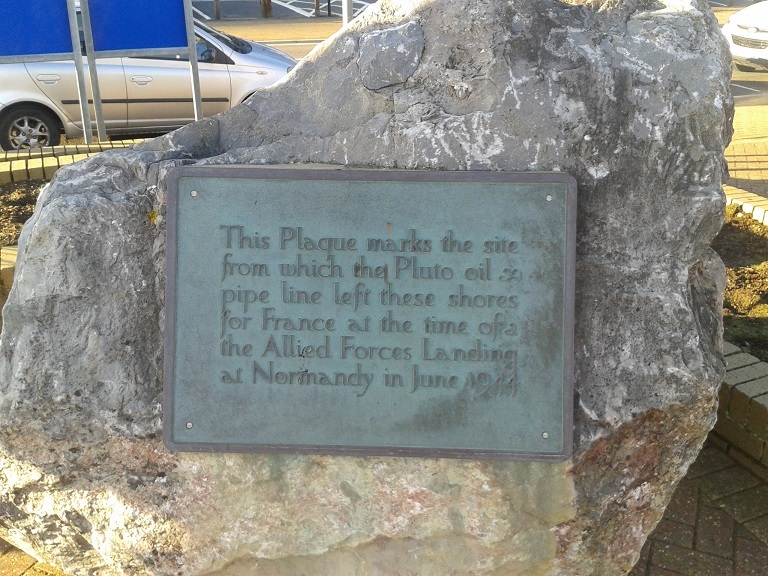 (PLUTO stands for PipeLine Under The Ocean and was used to pump fuel from the UK to France to support the D-Day landings). 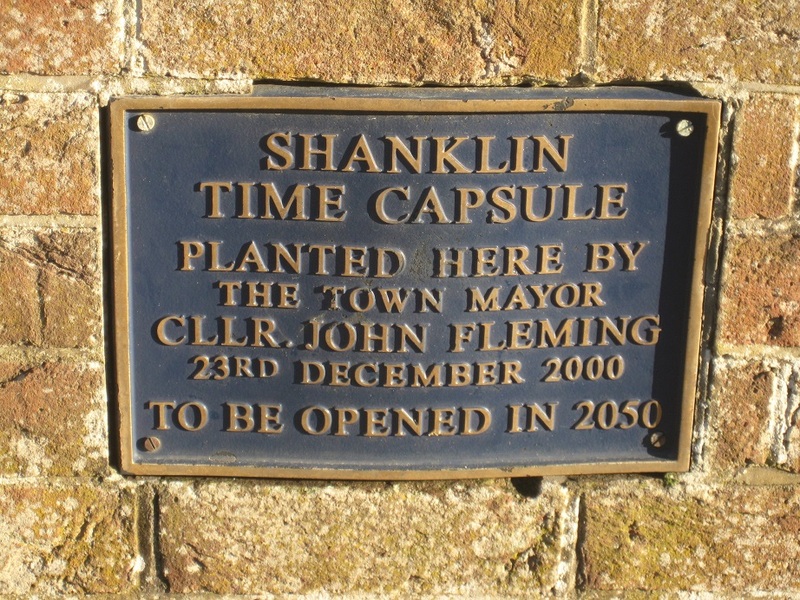 We read that a time capsule had been placed here in 2000. Not to be opened until 2050. Although less than 20 years ago, the year 2000 was a different place. Most people didn’t own a home PC, even less an internet connection. And a mobile phone was.. just a mobile phone. Where would you hide a cache here ? As we reminisced (2000 was a special year for Mr and Mrs Hg137 too) GZ had become free. 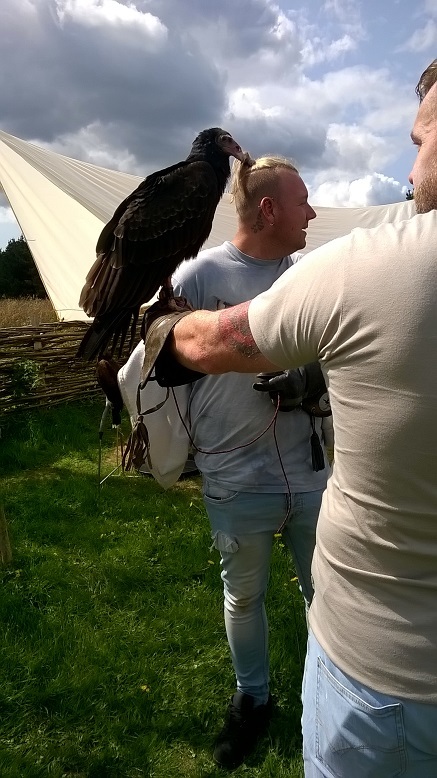 We stood around – looking as innocent and nonchalant as only geocachers can – grabbed the cache, signed the log, replaced the cache in unseemly haste – and headed back to the Scrabble hotel! 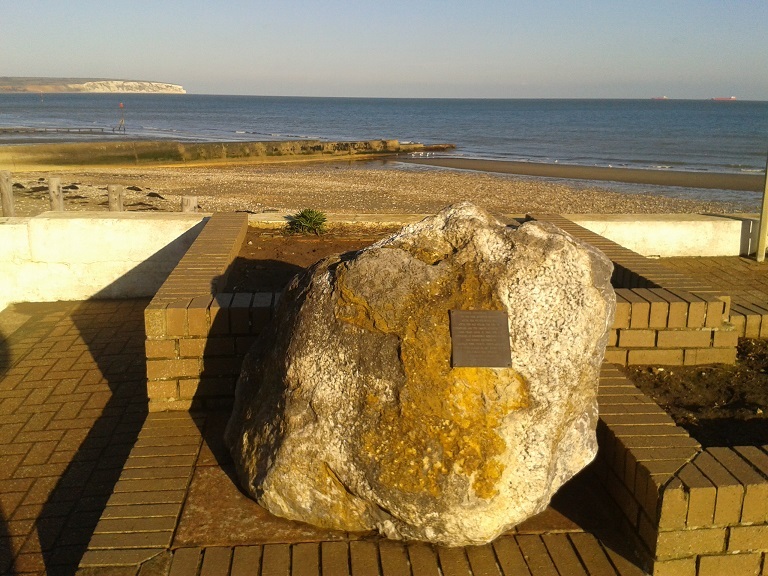 We were on the wonderful Isle of Wight, ready to spend a weekend playing Scrabble in Shanklin. While crossing the island, Mr Hg137 had a business appointment in Rookley, in the centre of the island. 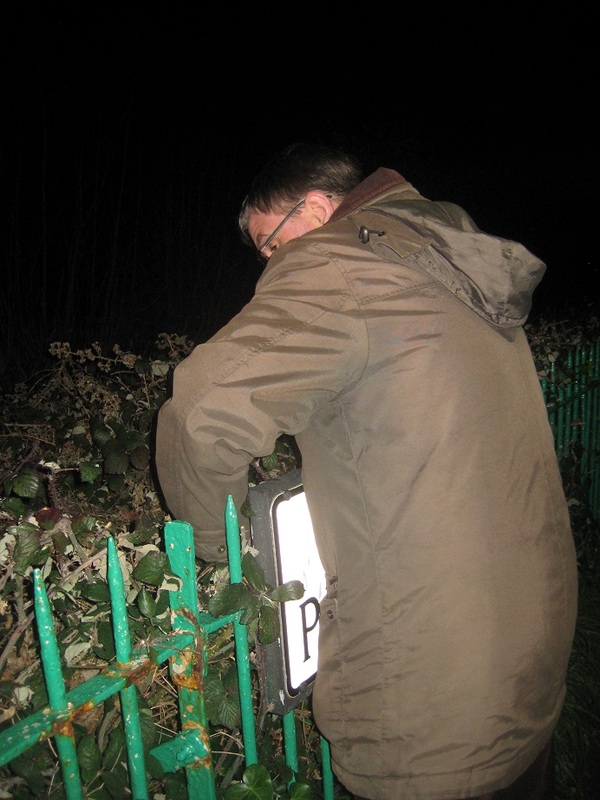 He went off to do that, while I … was turfed out into the snow to find the nearby Church Micro cache. 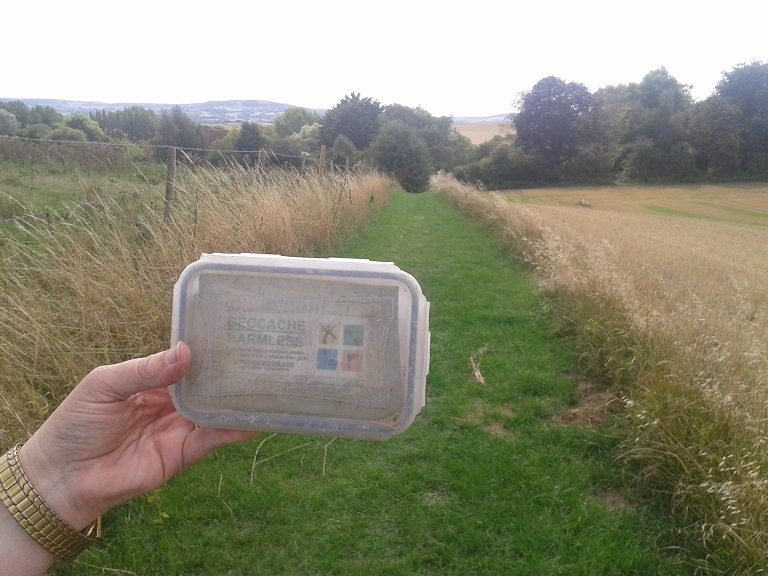 Rookley Methodist Church is the starting point for this cache, overlooking the triangular green. 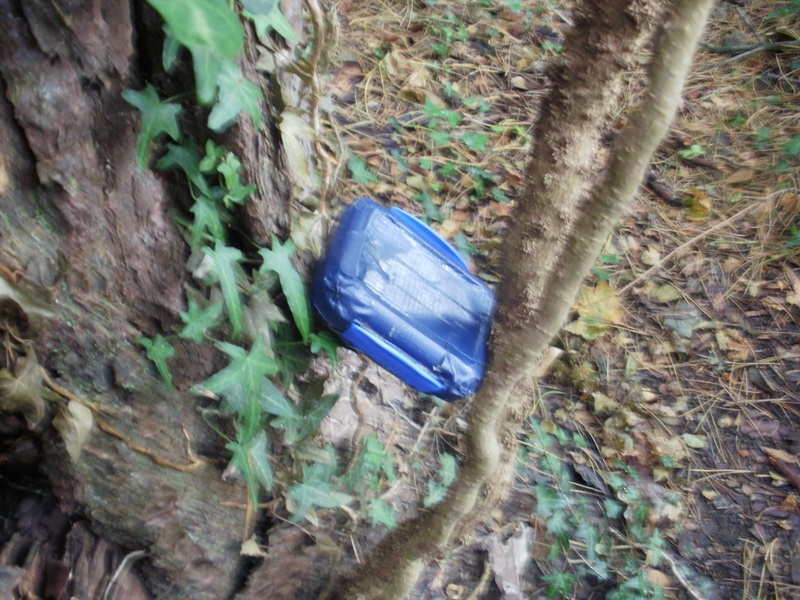 This particular cache could be solved by finding seven numbers placed on various items around the green. 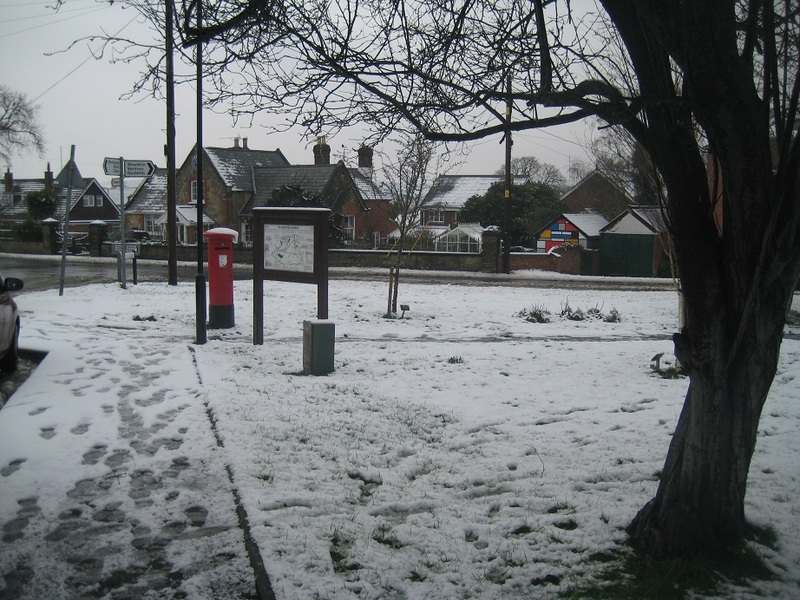 There didn’t seem to be a best order to do this so I crunched around in the snow, gradually crossing off clues as I went. After a few minutes I’d got all the numbers except one – I just need to find the year that “Les” was born. 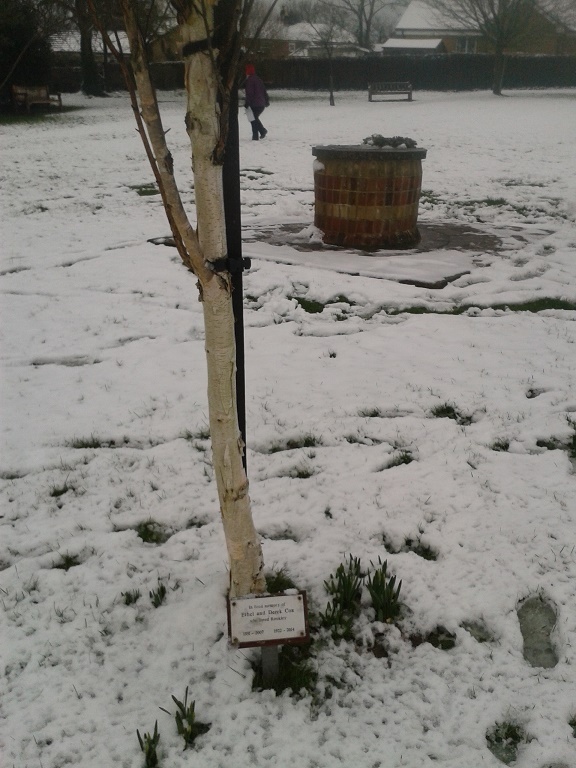 Just then, Mr Hg137’s appointment had finished, and he joined me in a second snowy circuit of the green, spotting the remaining clue within five minutes. Of course, it was in a place I’d already looked, though clearly not hard enough; in my defence, lots of people have trouble with this specific clue. 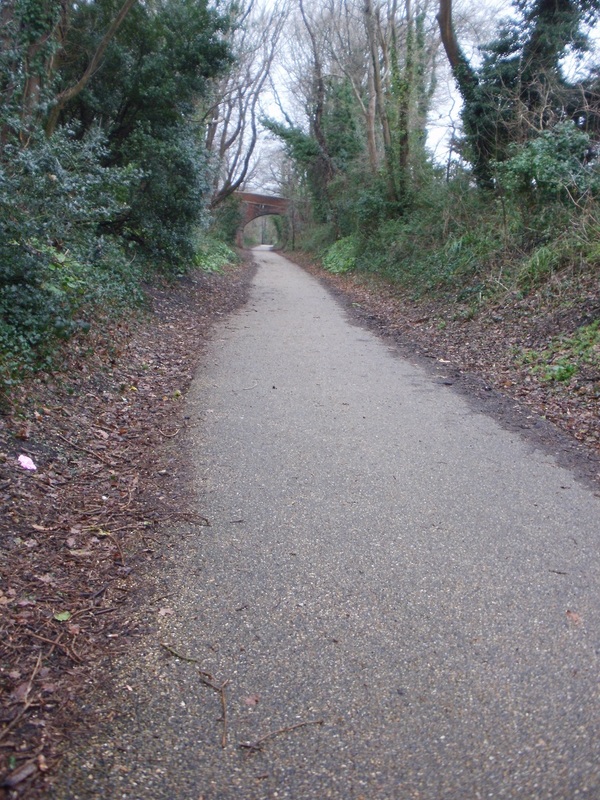 We then worked out the coordinates … got them wrong … did them again … and set off for the location of the cache. Arriving at GZ (Ground Zero) we stared hopelessly at the object for a while, then read the hint, looked at the correct place on the object, and spotted the cache almost instantly, a nice dry container inside a rather damp camo bag. Success! 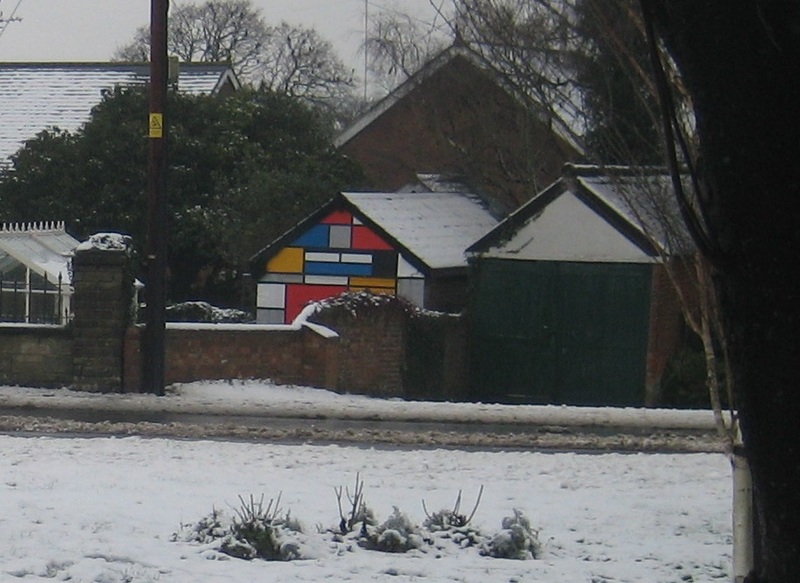 We went back to the geocar, admired the Mondrian-inspired garage door across the road, and set off for Shanklin. Postscript: later, we checked our tally of Church Micro (CM) cache finds. We were were really pleased to find that we had reached 100 finds. That takes us from Curate to Vicar on the awards list on the Church Micro website http://www.15ddv.me.uk/geo/cm Another small step towards sainthood for us! 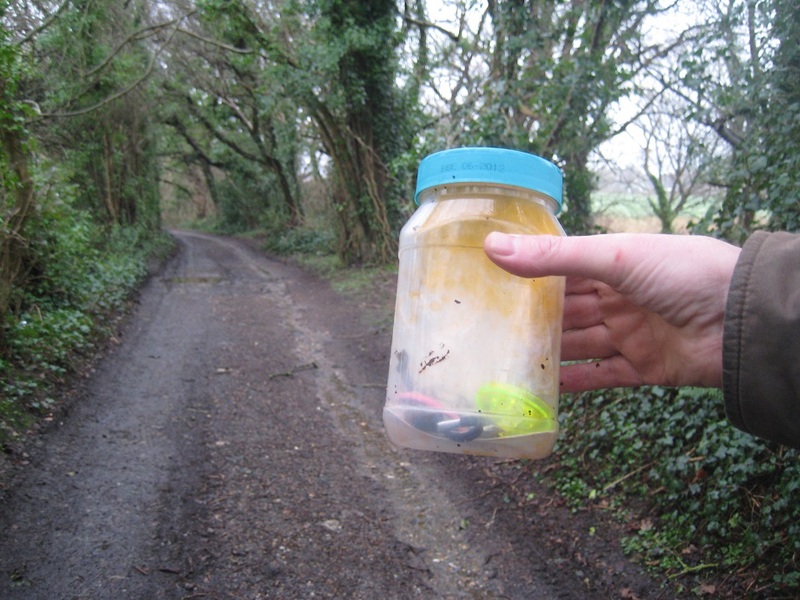 … we had yet to find the three nearest caches to where we were staying. 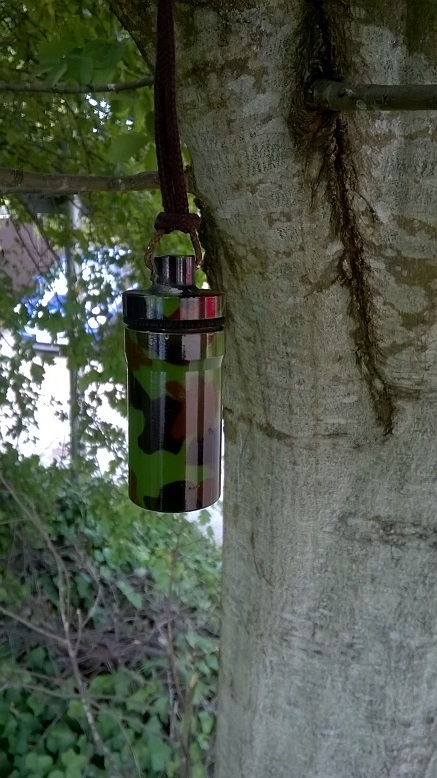 We had a couple of hours before our ferry home, so this was the ideal time to find these caches. 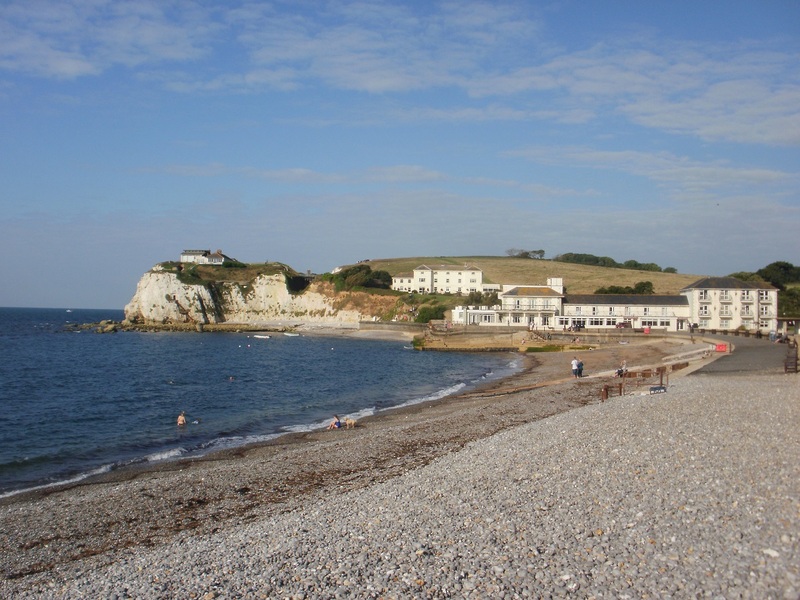 It was early morning (0910) as we walked along the foreshore at Freshwater Bay. 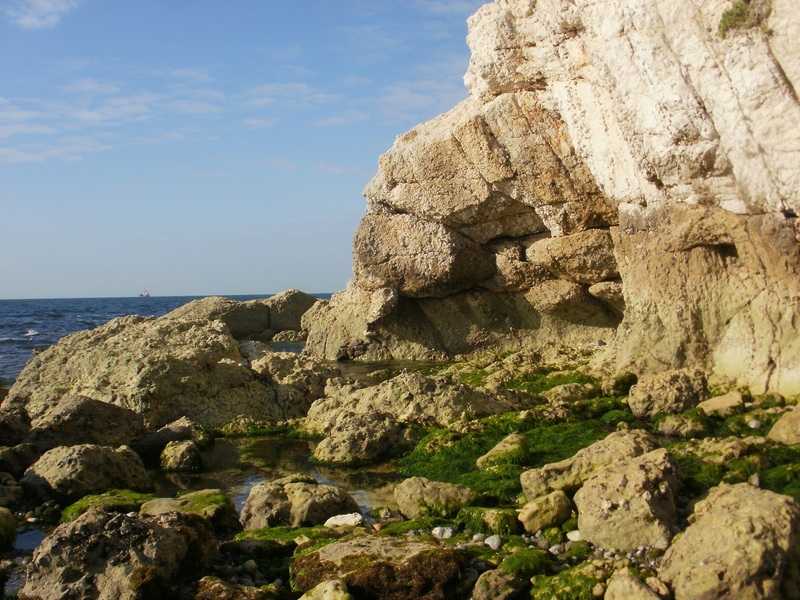 (We made a tentative, rockpool scramble towards a terrain 4.5 cache – we had no intention of finding it, as access is only possible at the lowest of low tides) and then headed towards the lifeboat station. Unlike many lifeboat stations around the UK, it is NOT run by the RNLI but independently run and independently funded. As we headed across the beach, we noticed several early morning swimmers. One man charged into the sea, and his dog obediently and joyfully followed. A trio of ladies walked in but their dog was afraid of the waves, and barked incessantly from the dry shore edge. The cache (lifeboat view) was a relatively straightforward find. The hint ‘WD3’ had our minds racing, and since all the footpaths on the Isle of Wight were numbered, we assumed it was attached to a footpath sign. How wrong we were! 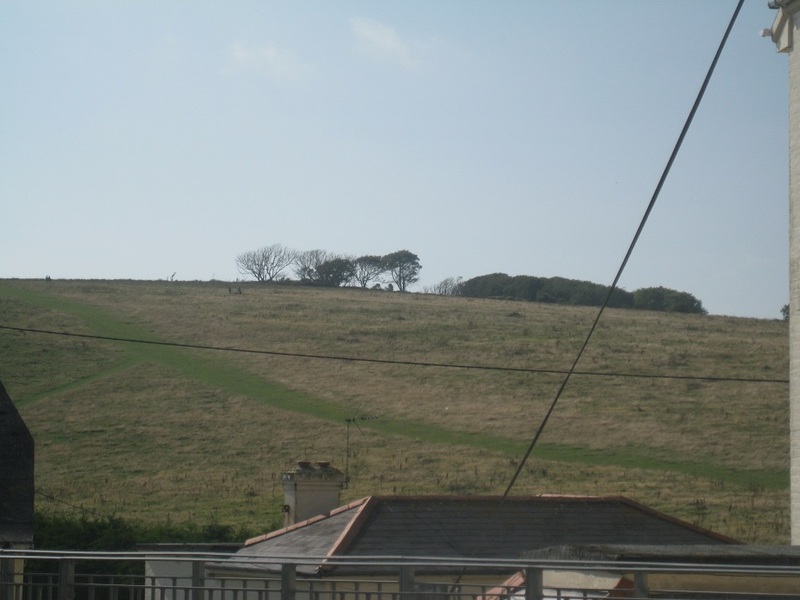 We then walked up the grassy slope onto Tennyson Down (for either the third or was it fourth time that week? ), to arrive at a fence line, a stile, and some trees. We could see these from our hotel room, and knew the cache (Tennyson’s) was close by. Up there, at the top of the hill, near the trees. is a cache! and then a few minutes later found the elusive container we could almost see from our room. 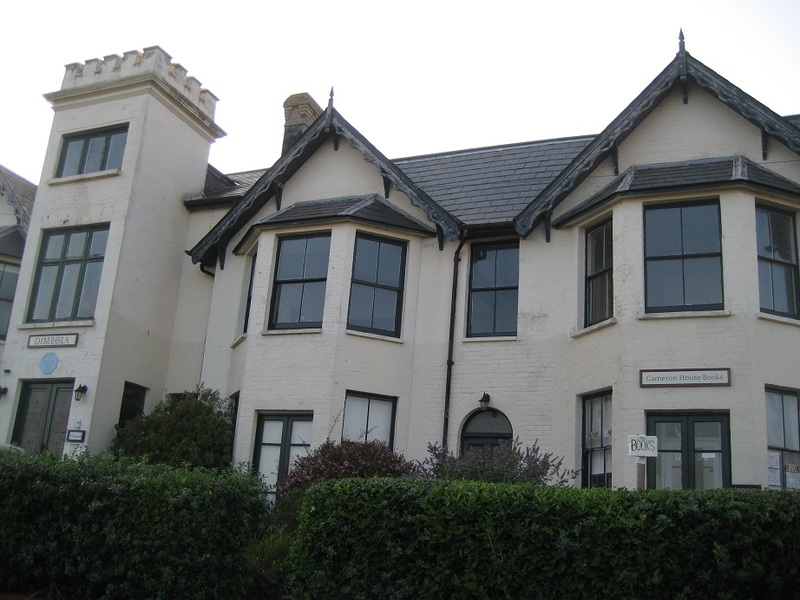 Our final cache was called Julia Margaret Cameron, the 19th century photographer. She lived and undertook much of her pioneering photography at her house, Dimbola Lodge, now a museum. We had been fortunate to visit the museum one evening and seen examples of her work. Her style, was very ethereal, Ancient World classical, and involved her subjects being dressed up representing Shakespearean characters as well as Ancient Greek and Roman gods/goddesses. 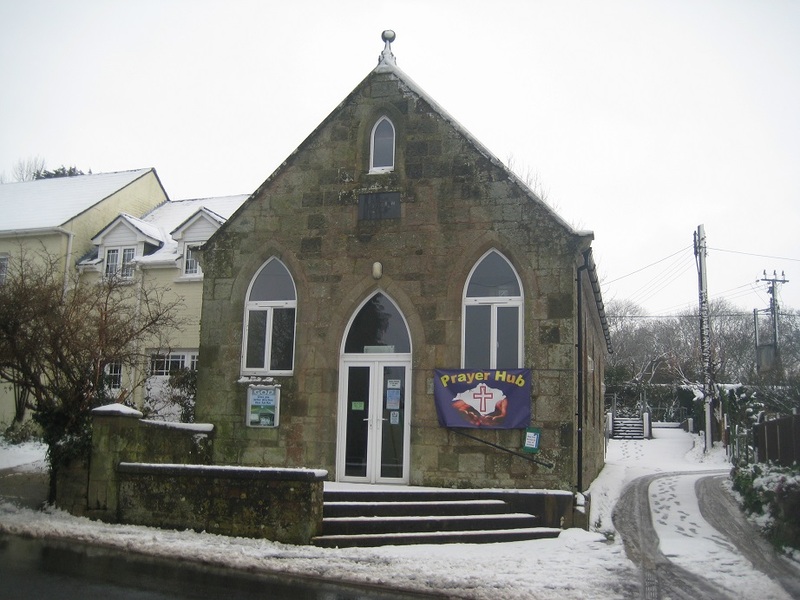 The museum also housed some pictures and accounts from the first three Isle of Wight pop festivals (1968 – 1970). 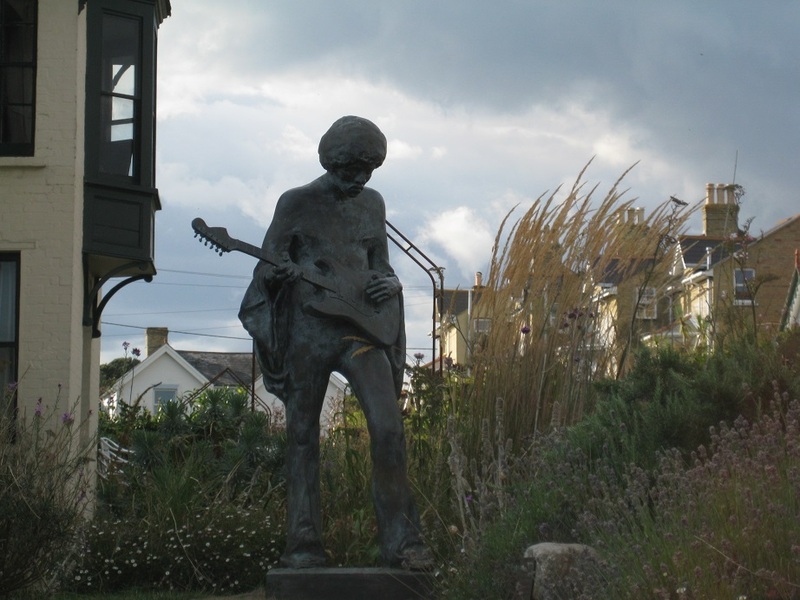 Outside the museum stood a statue of Jimi Hendrix, whose last live performance was at the 1970 festival venue less than a mile from the museum. 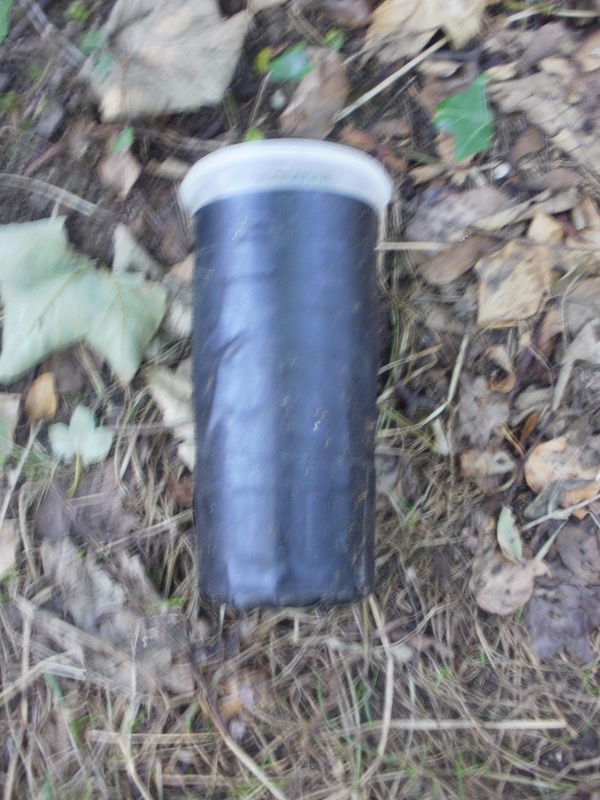 The cache was a multi, and during the week we had collected information about the museum, Julia and Jimi and we discovered that the cache was on the route down from the Tennyson’s cache. 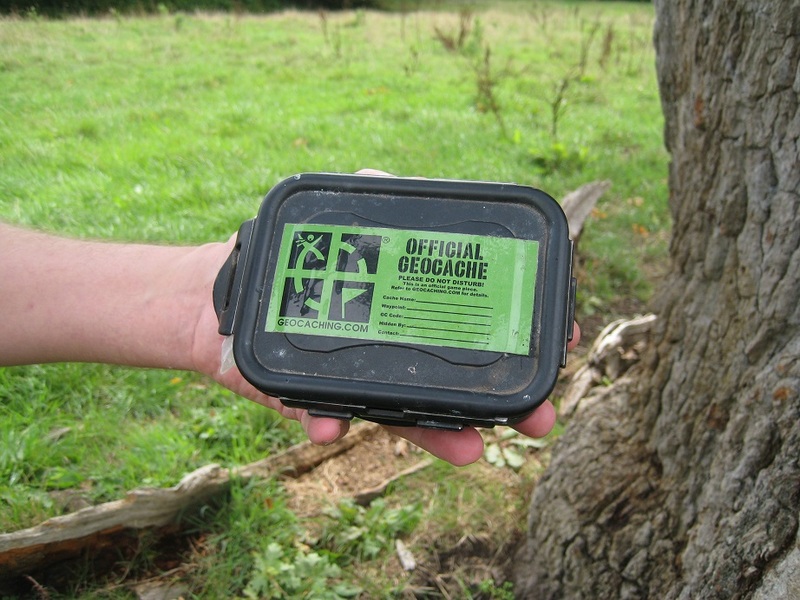 A simple find, and a great way to finish a walking holiday – with a bit of geocaching thrown in – on the Isle of Wight. 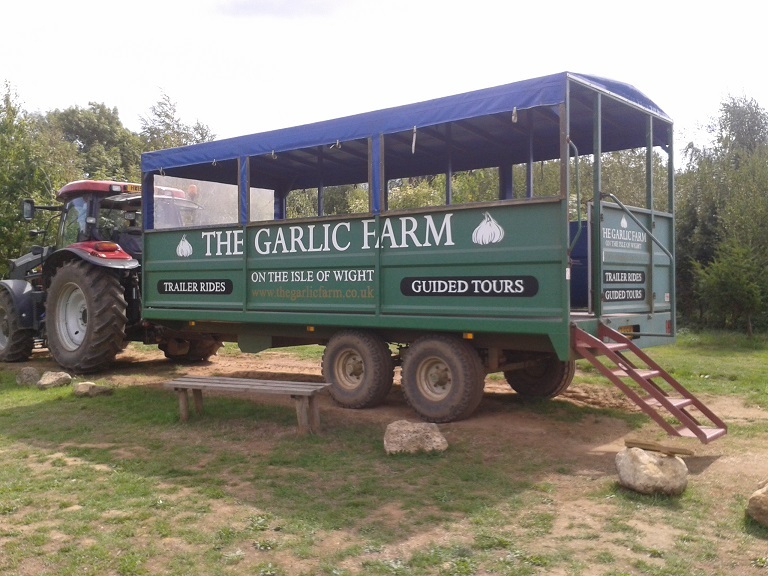 We were on week’s walking holiday on the Isle of Wight, but, as most of the walks were with largish walking parties, it wasn’t easy to cache as we walked. 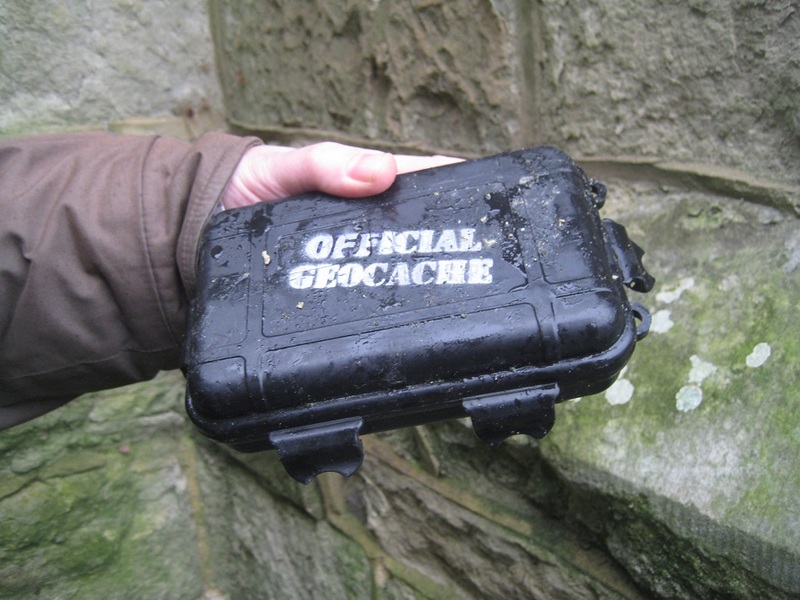 Our day off enabled us to choose our own route, and select a few interesting caches. 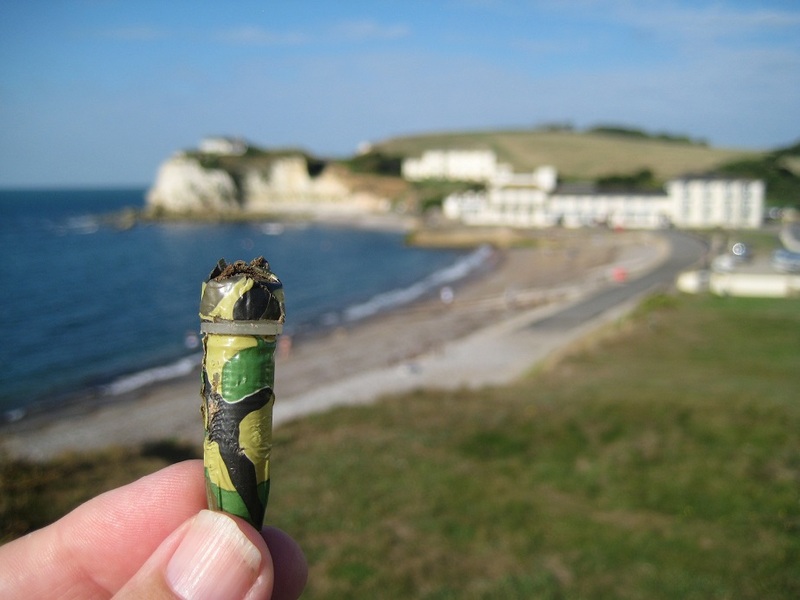 We were staying at Freshwater Bay (on the South West of the Isle of Wight), and we had identified a small number of caches near the ferry terminal at Fishbourne (at the North East of the Island). We had originally thought about finding these while we waited for our homeward ferry, but we brought the expedition forward. A quick solve and fortuitously enough the cache was in the direction of a couple of other caches we had come to collect. These were part of the Ferry Distraction series of puzzle caches. 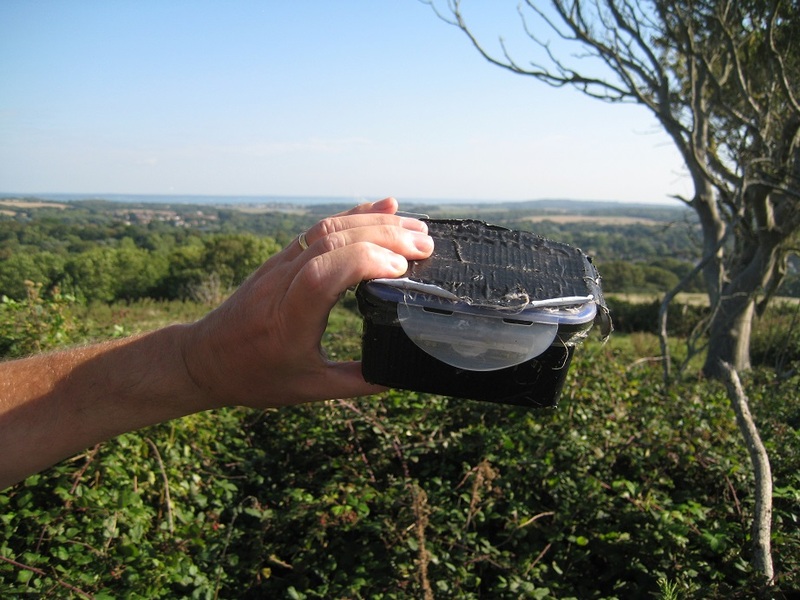 (Each cache had a puzzle to solve with an Isle-of-Wight twist.) For one of the puzzles we had to find 32 Isle of Wight placenames and match them to pseudo-cryptic clues (‘Oriental Bovines = East Cowes’), another involved solving an online jigsaw puzzle and a third a logic puzzle involving five families, the places they visited and how they got around during their mythical holiday. These puzzles were supposed to be time-fillers for the ferry journey across to the Island, but we solved them before leaving home…(in much longer time than the ferry journey!!!). 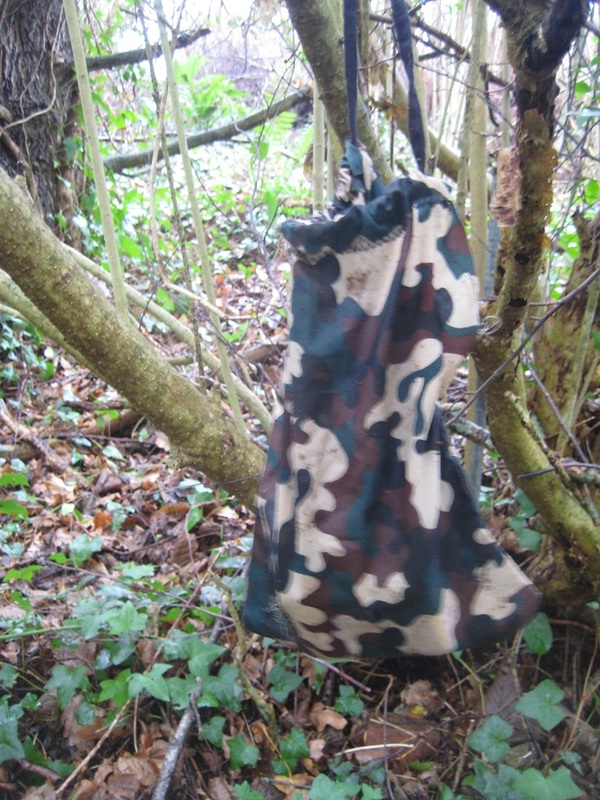 Our first puzzle find was deep in a footpath near the Fishbourne Ferry terminal. 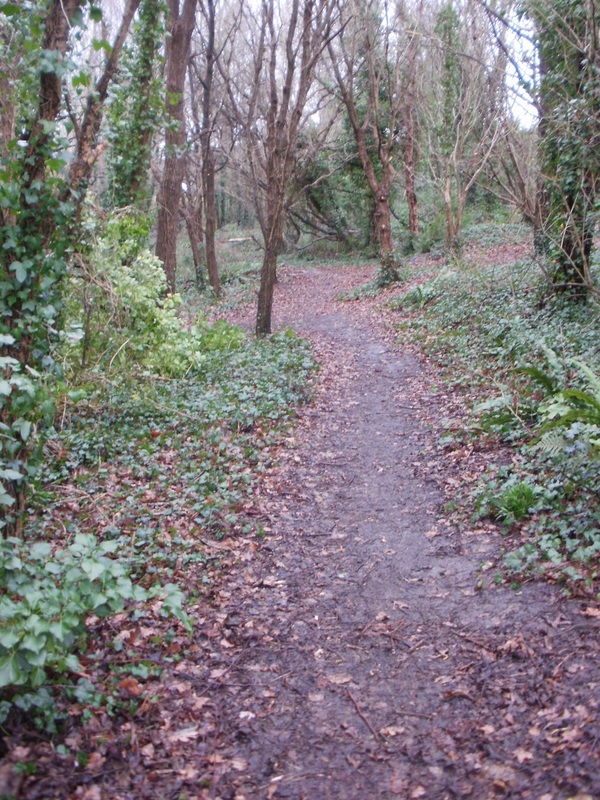 A path we had driven by many times, and never spotted. The second was near the shore edge, and which took us some minutes to locate. The hint was very clear, and there was only one place to look, but the presence of a mother, a child and a dog made searching tricky. 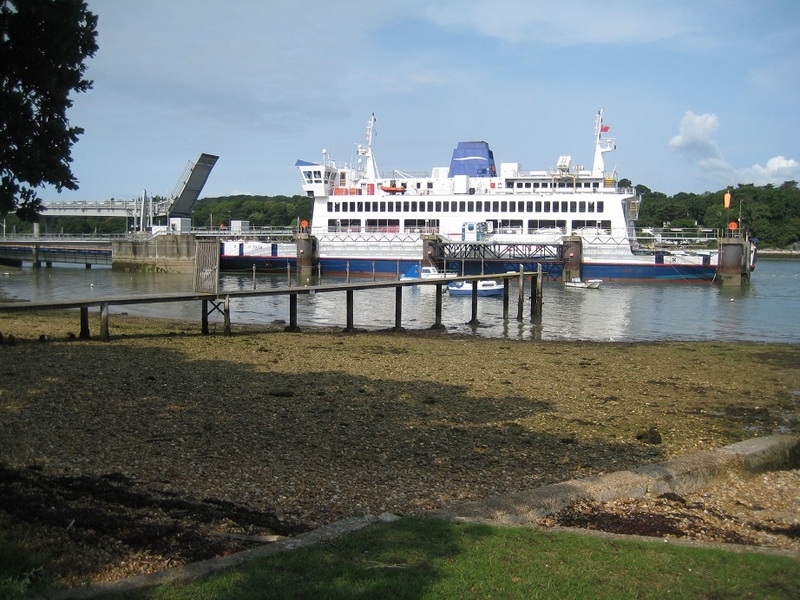 Most people turn right after leaving the Fishbourne Ferry terminal, but turn left and a very tranquil shoreline emerges. A place we would never have found without geocaching. 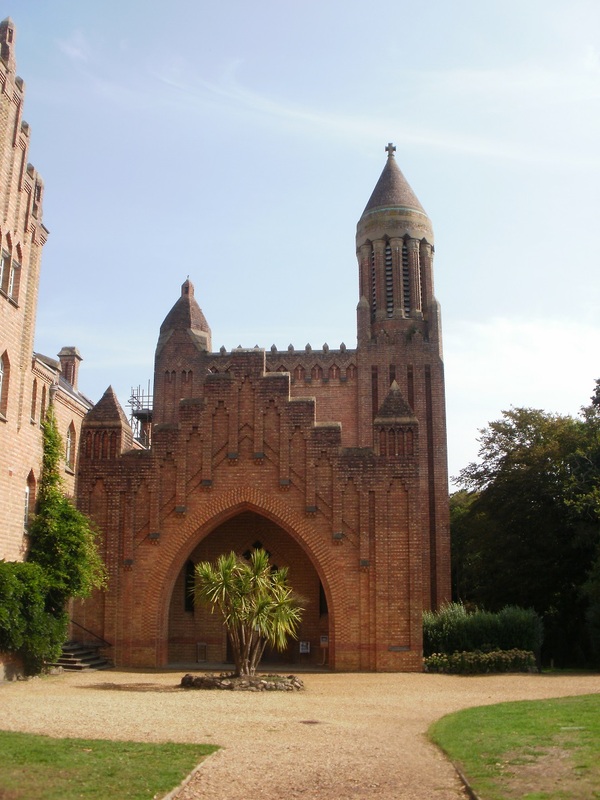 We returned back to Quarr Abbey, to look around. 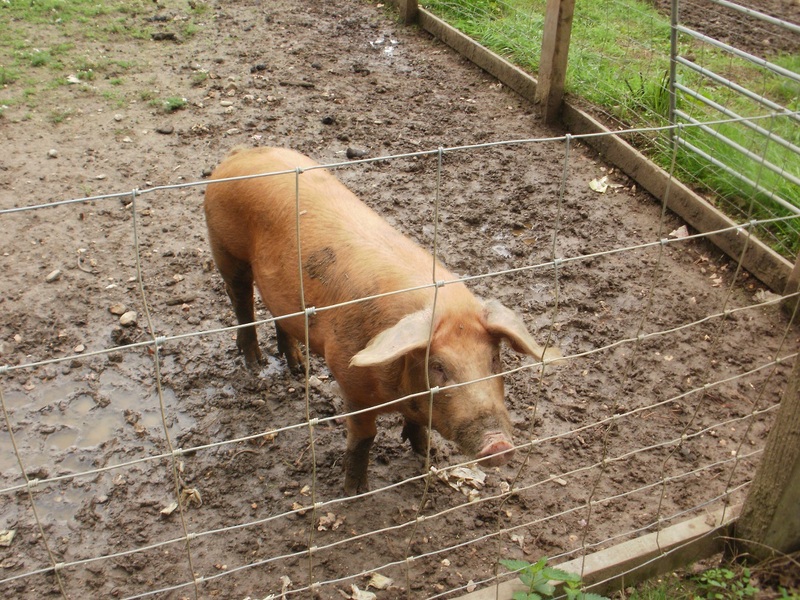 Many other people were doing the same – the café was full – the stunning brick church was solemnly quiet (once a young family had left), and of course some very friendly pigs ! 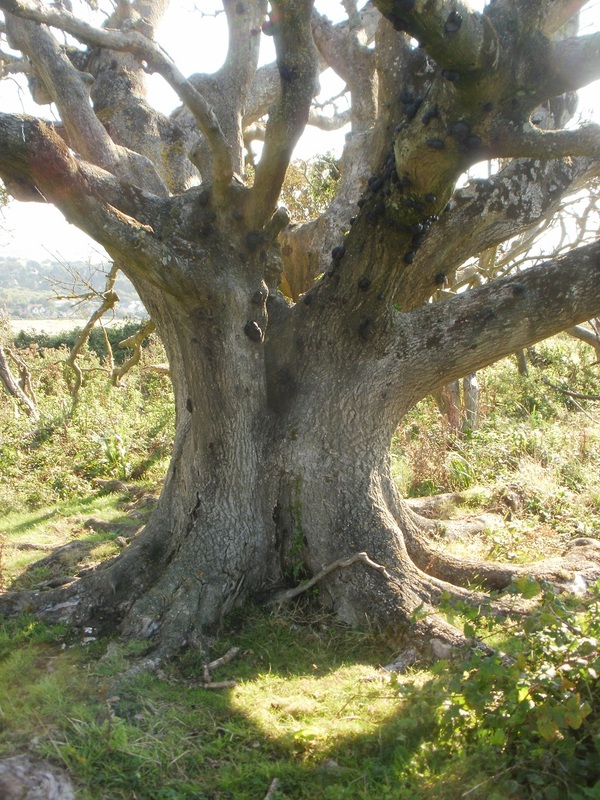 Our next cache – a relatively rare, standard cache was yards from the Abbey – but we failed to read the instructions and gleefully followed the GPS to a cacheless tree, rather than ‘walk 10 paces from the railings’ mentioned in the hint! Our route then took as away from the 12th century ruins to the last of the puzzle caches (after vaulting a non-existing stream). An easy find. Not so at our final Quarr cache. 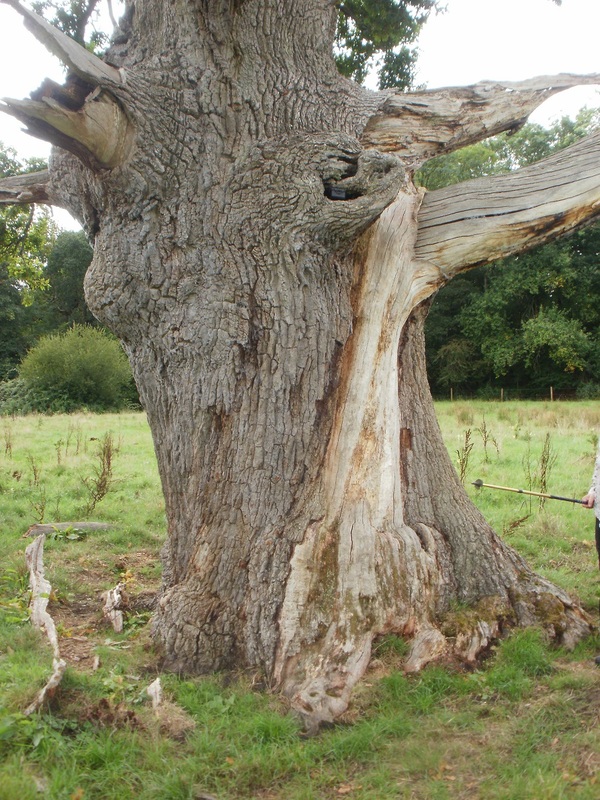 In an oak tree, in the middle of a field. A huge hole was checked and nothing found, then we spotted, high up at the rear of the tree a narrow hole with the cache poked inside. Can you see the cache ? It was 10 foot up with slippery bark as our only means of approach. Then we remembered the geo-pole! We extended it, and with great caution hooked it underneath the Tupperware container. Slowly, slowly we inched the container out until it fell to the grass. Success.. now how to get back up! A quick sign of the log and then… how to get it back up there? We sealed three side of the container, and balanced the geo-pole end into the fourth end’s locking mechanism. We slowly raised the pole until we were level and in the hole. Success! 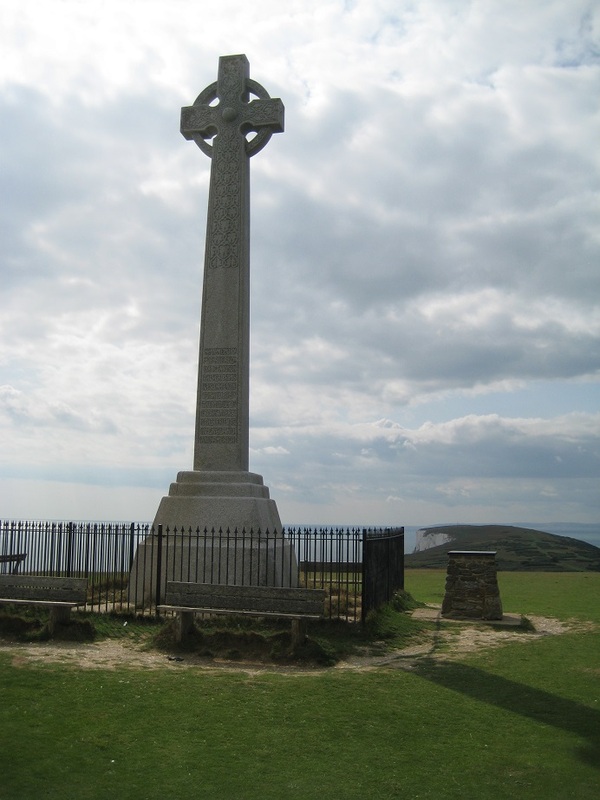 Our caching at Quarr and Fishbourne were complete, so we headed back across the Island to find Tennyson’s Monument. 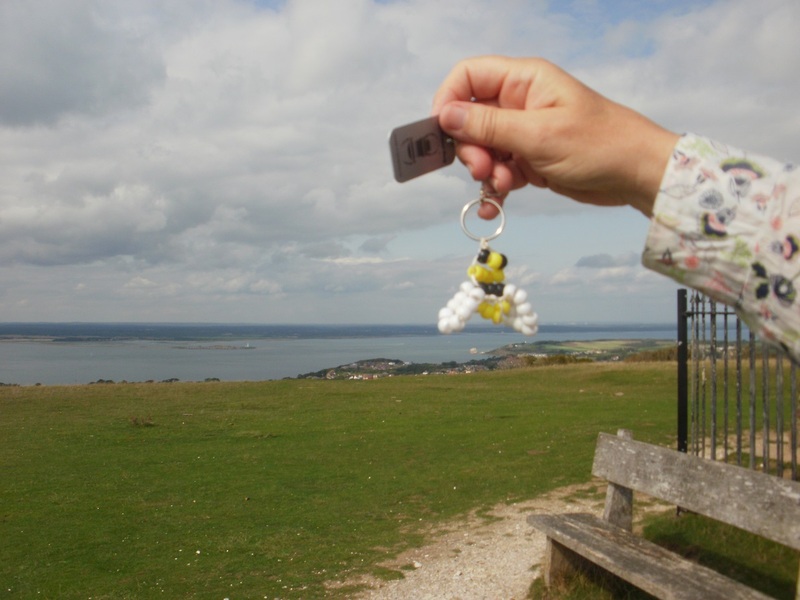 We had the ‘Bee’ (Birthday Buzz) trackable to place, and we had told the trackable owner we would place it somewhere scenic on the Isle of Wight. We knew we would be passing the Monument in one of our walks, but wouldn’t have to time to undertake the multi set around it. 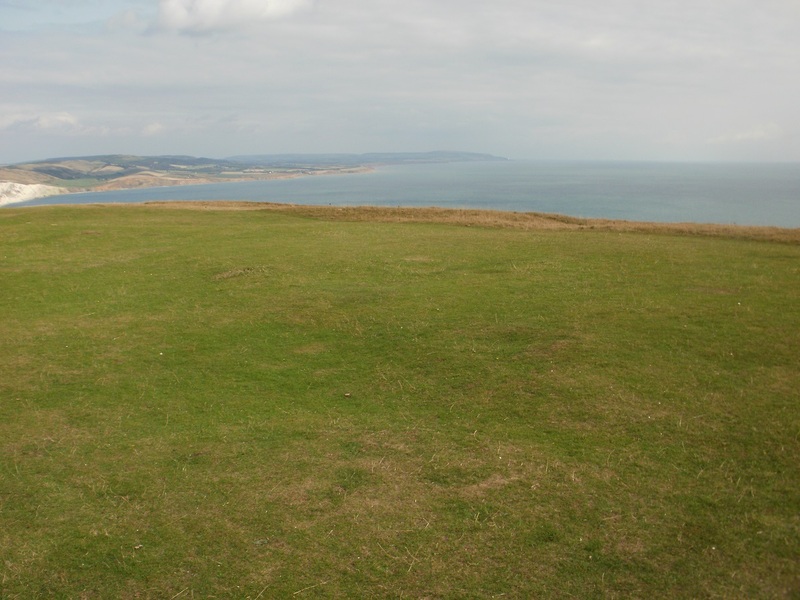 We located a free car park at the foot of Tennyson Down. A steep, stepped ascent led us to the Monument – and the grassy slopes surrounding it. The views were well worth the climbing effort – they were stunning. 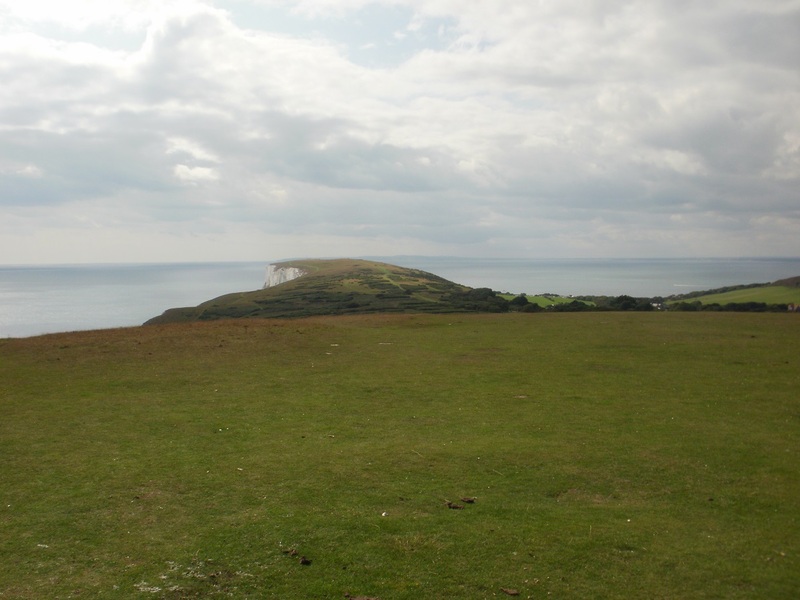 We could see right across the Solent to the mainland, the tip of the Needles on the Isle of Wight and to the East much of the Island itself. 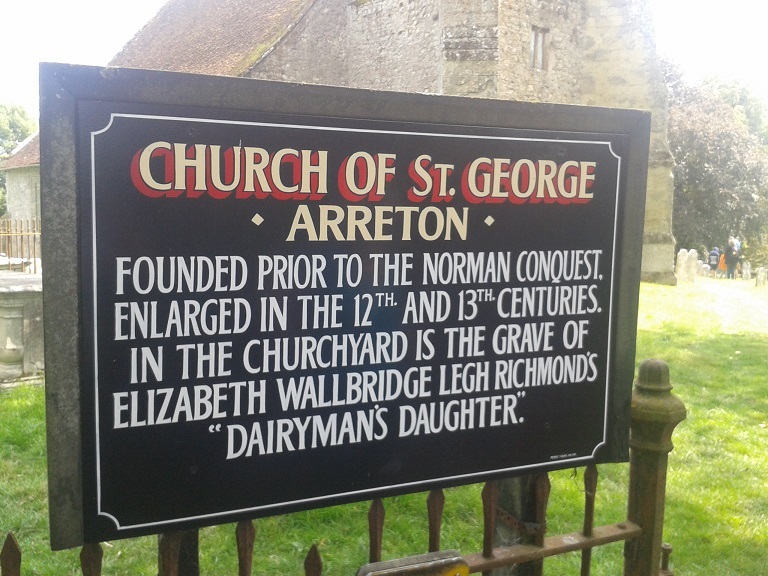 The poet Alfred, Lord, Tennyson lived for many years very close by and the monument was placed to commemorate his life. The hill we had climbed was also renamed in his honour too! We had a quick look round for the necessary information for the multi. A strangely worded set of instructions and we couldn’t find anything matching the clues at all. We waited for a seat to clear, and we imbibed a coffee (at this point Mr Hg137 somehow angered a wasp and it fought back stinging him on his hand). The sting must have caused an adrenalin rush, as when we looked again at the monument the instructions for the multi became clear. Was it a coincidence we had a ‘Bee’ trackable in our hand and a ‘Wasp’ attacked ? Who knows! We discovered that the final was close to the car park from where we started so down we went and a quick find at GZ. Farewell ‘Bee’ – hope you enjoyed the view! 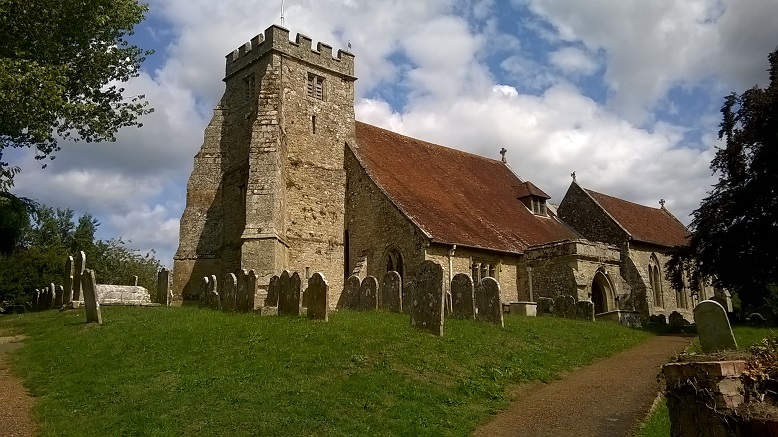 Nearby is the tiny hamlet of Arreton, and we stopped there to find a couple of caches. The first was a Church Micro based on the church of St George, set on the hill a little way from the main road. 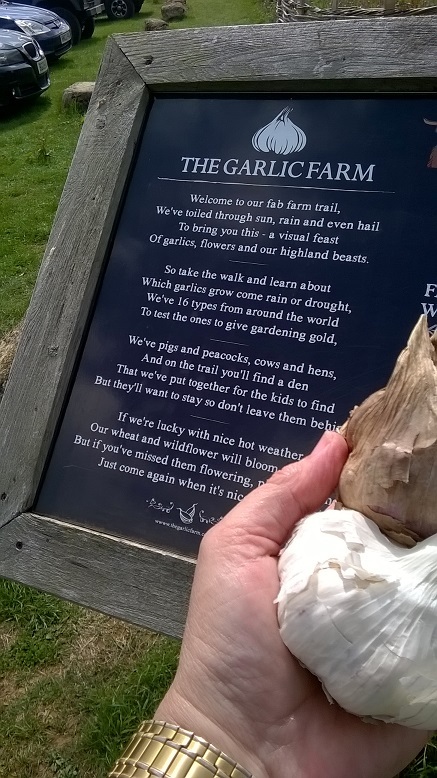 It didn’t take us long to find the numbers associated with the cache, but the garlic fumes must have been affecting us both, as the first attempt at working out a location came out with something way out in the English Channel. Several deep breaths, a rethink, and we came out with new coordinates, much closer, back in the direction we had come from. We strolled back and found the cache after a couple of minutes search. Back past the church again, up the hill again, we were out in the fields. The views opened out to the south as we climbed up Arreton Down. A few cows lazily chewed the cud as we turned back a large stone and uncovered another cache. What a super little caching trip! But by now we were hot, the hotel pool was calling, and we scooted off to Freshwater Bay, leaving behind a few unfound caches for another day.